Almost two years ago was the first time visiting Log House Holidays, and made us fall in love with everything about it. 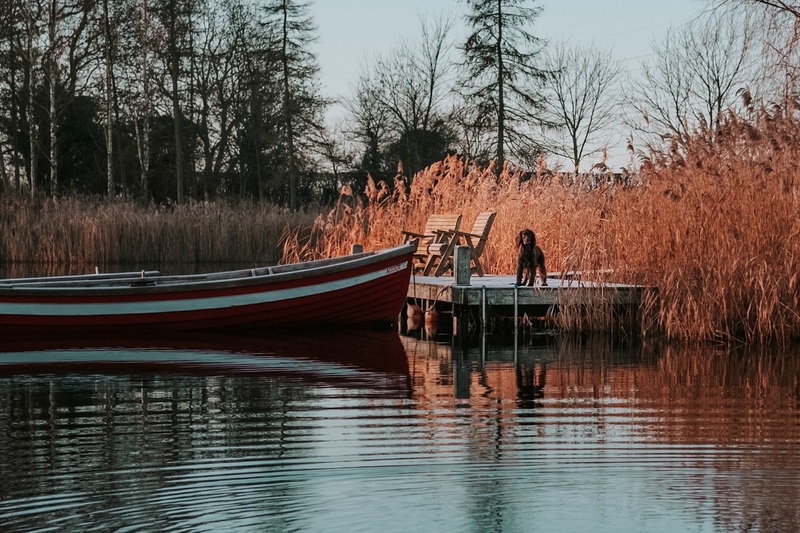 The Cotswold Lake is home to eight stunning Scandinavian cabins with hot tub, private beach, log burners and with the use of kayaks and row boats, it really is the reason we why we love a log cabin holiday. The most recent trip was to Elsa Lodge, a sweet cabin with gorgeous decking and everything needed for a relaxing trip in January. With both adventure and peace right outside the door, it's a dream to holiday for humans and hounds. This year is all about self care and improving myself. Being a better person and being better to myself. 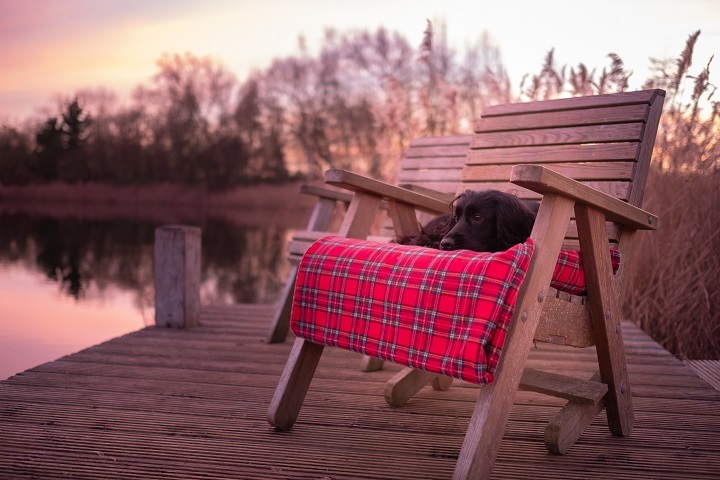 A trip to a log cabin can really help that, getting away from it all and really enjoying the peace and people around you. With better mind space for me, comes more enjoyment for the dogs, with time to train and go for more walks. 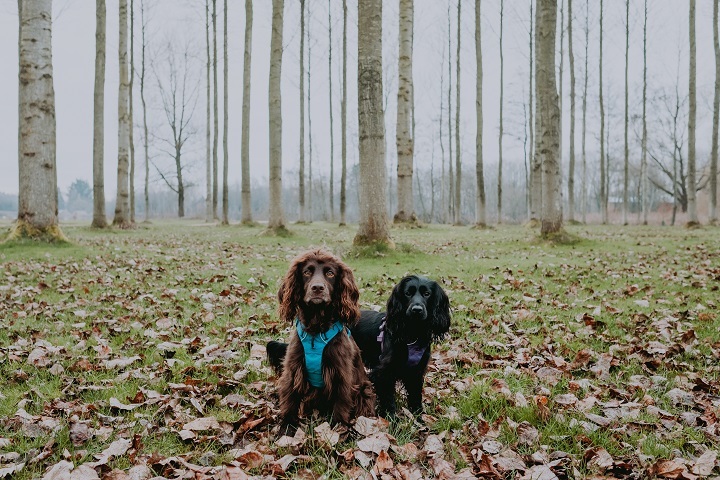 Exploring new places is one of the fun things about the dog friendly trips, being outside with new sniffs and places to run free is so much fun for Sev and Lily. Different walks makes me want to stay out longer and explore more, enjoying the small things in life whilst the dogs are running around at my feet. With 130 acre nature reserve, there's a love route to walk without even having to leave the estate. 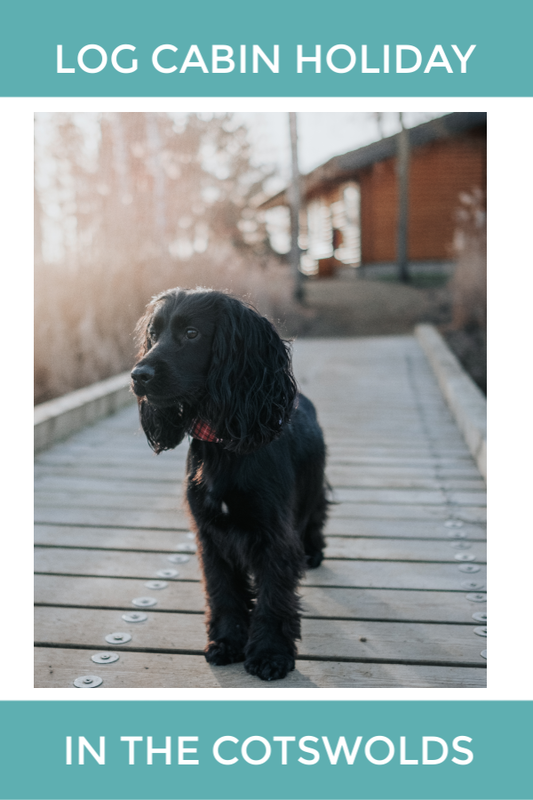 Having a full time job, running a business and working so hard on @SpanielLife [and the blog!] means down time is really important. There's nothing better than cuddling up and feeling cosy by a warm fire. 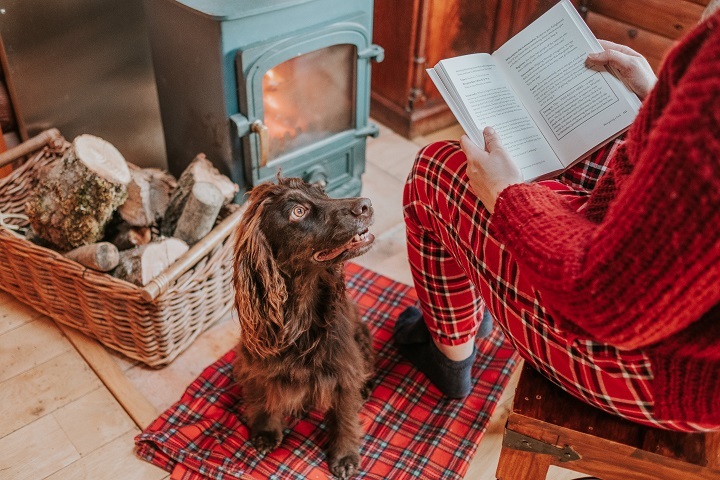 Grab a blanket and head to the outside fire pit, toast marshmallows and watch the sun go down or snuggle up inside with the wood burner whilst reading a book- spaniel cuddles are always included. 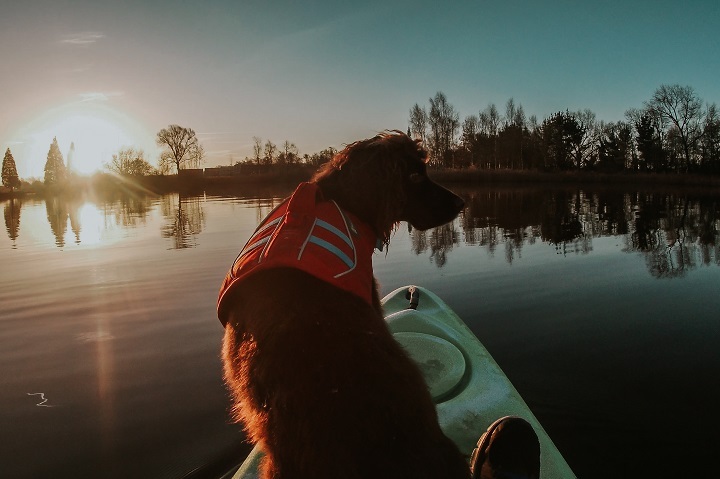 Want to try something different with your dog, with your own kayak and SUP it's great to get on the water. Having it at your own time and pace means both you and your dog can take it slow, and enjoy it. Sev loves jumping on the kayak with me, but Lily is my go to paddle boarding partner as she doesn't move around so much.... the lake is pretty cold in Winter!